Members benefits are a resource that goes above a beyond for Local 1253 Union Members. Explore the advantages members and their family receive. Click on the images below for more information. Union Plus is a part of Union Privilege, a nonprofit organization founded by the AFL-CIO in 1986 to provide excellent consumer benefit programs exclusively to union members (current and retired) and their families. Their mission then and now is simple — to improve the quality of life for working families through our unique products and services. We believe that supporting our union members through good and bad times keeps our unions strong, so we offer unique financial assistance including strike benefits and other hardship help benefits that support union members and their families. At Union Plus members and their family receive advantages from consumer benefits to hardship help and much more. AFSCME Advantage and other benefits for members - Being an AFSCME member doesn’t only get you an advantage at the bargaining table. It also gets you access to discounts and benefits that can help make life a little easier. Local 1253 Members can enjoy the AFSCME advantages from consumer benefits to scholarships and much more. AFSCME Council 28 (WFSE) Members Only Benefits Program - Full dues-paying WFSE members can save thousands of dollars on goods and services through the Members Only Benefits Program: Representation feepayers get the protection of a strong contract; but by taking the step to become full dues-paying members of the union, they gain much more economic power by qualifying for the discounts and consumer information offered by the Members Only Benefits Program. Here are some of the consumer benefits, Student Debt Resources, and scholarships available. 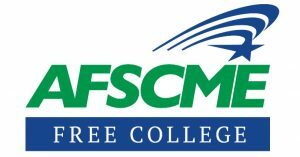 Meet the 2018 recipients of WFSE/AFSCME Scholarships.